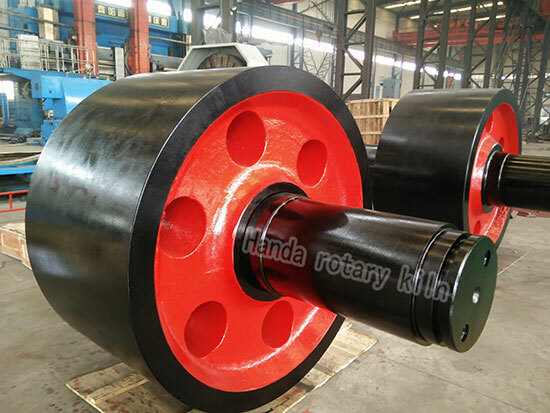 The supporting rollers, produce by HANDA, usually use the materials like ZG55 and ZG42CrMo, which can guarantee the roller quality and make it have the advantages of large load bearing capacity and good performance in continuous running. This supporting roller adopts rolling bearing with the features of simple structure and easy maintenance. HANDA adopts the normalized and tempered technology processing when casting the supporting roller, which finally makes the surface hardness of roller outer circle over 200HB, greatly ensuring the quality of rotary kiln supporting unit.